Deirdre graduated from Centralia College of Agricultural Technology in 1993 with an honours diploma in veterinary technology. Since then, she has practiced at several different clinics around Ontario, spending a number of years in the Owen Sound area and returning to London in 2005. She joined Campus Estates in August of 2013 on a part-time basis while she returns to school to continue her education with a goal of attaining her veterinary degree. While she has worked with a wide variety of animals including pocket pets, reptiles and birds, her main focus has been dogs and cats, with a personal passion for working with cats. 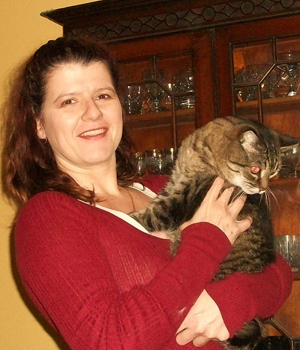 Deirdre lives in the area with her daughter and her six beloved feline furbabies. She enjoys music, dancing and a variety of sports, especially skiing, slo-pitch and broomball.